This brings together a list of works and connotations not found in standard Irish dictionaries. The material is based on an extensive manuscript collection of folklore made in South Kerry between 1935 and c. 1960. It offers a valuable contribution to knowledge of this dialect, which hitherto received little scholarly attention. SaolaÃ­odh i Sasana agus tÃ³gadh i mBaile Ãtha Cliath Ã­. CÃ©imÃ­ Ã­ de chuid UCD. TÃ¡ baint leanÃºnach aici le foilsitheoireacht na Gaeilge ina saol gairmiÃºil. Chaith sÃ­ trÃ©imhse i mbun eagarthÃ³ireachta sa GhÃºm; ina heagarthÃ³ir ar Comhar 1979â84; ar cholÃºin Ghaeilge The Irish Times 1984â87; ina heagarthÃ³ir taighde foclÃ³ireachta in Acadamh RÃ­oga na hÃireann go dtÃ­ 1999. Ãdar agus eagarthÃ³ir ar mhÃ³rÃ¡n leabhar. BhÃ­ sÃ­ ina StiÃºrthÃ³ir ar Fiontar, Ollscoil Chathair Bhaile Ãtha Cliath 1999â2006. BhÃ­ sÃ­ ina LÃ©achtÃ³ir Sinsearach ann go dtÃ­ 2015 mar ar bhunaigh sÃ­ sraith tionscadal taighde i rÃ©imse na ndaonnachtaÃ­ digiteacha don Ghaeilge: focal.ie; logainm.ie; iate.europa.eu (na tÃ©armaÃ­ Gaeilge), ainm.ie; gaois.ie agus duchas.ie. BhÃ­ sÃ­ ina comhalta den dÃ¡ ChoimisiÃºn Rialtais a phlÃ©igh le cÃºrsaÃ­ Gaeilge lenÃ¡r linn: CoimisiÃºn chun RÃ³l na nEagras Deonach a ScrÃºdÃº (1996â7) agus CoimisiÃºn na Gaeltachta (1999â2000). BhÃ­ sÃ­ ina Comhalta Boird ar Fhoras na Gaeilge (2007â2011). Born in England and grew up in Dublin. Graduated from UCD. Has a lifelong engagement with Irish-language publishing. Worked as an editor in An GÃºm; edited Comhar 1979â84; edited Irish-language columns for The Irish Times 1984â87; and was research editor in lexicography in the Royal Irish Academy until 1999. Has authored and edited several books. Director of Fiontar, Dublin City University 1999â2006 and Senior Lecturer there until 2015, where she established several digital humanities projects for Irish: focal.ie; logainm.ie; iate.europa.eu (Irish-language terms); ainm.ie; gaois.ie and duchas.ie. 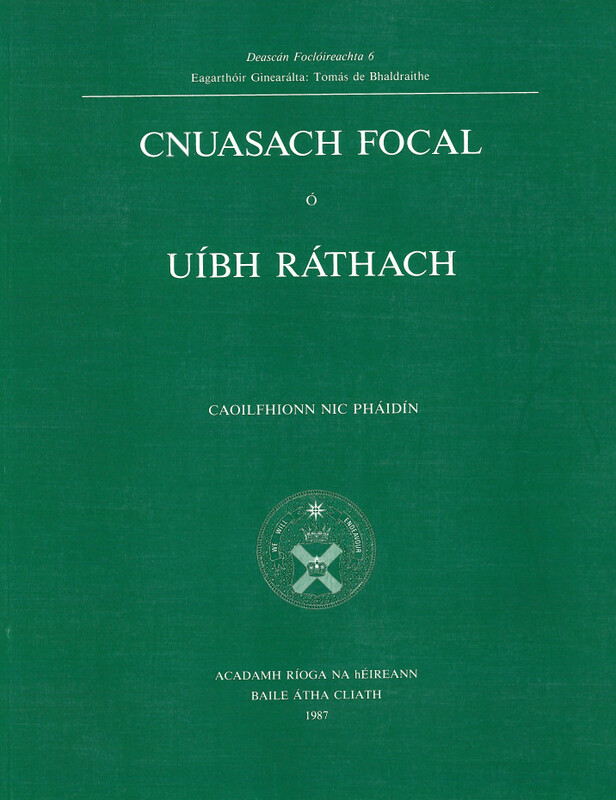 Member of both Government Commissions pertaining to the Irish language in recent years: Commission to examine the role of voluntary bodies (1996â7) and CoimisiÃºn na Gaeltachta (1999â2000). Board member of Foras na Gaeilge (2007â2011).